3. Start Tracking flights in real-time! Internet Connection for Network feature. RadarBox Network is the first worldwide flight radar flight data ever developed. You are experimenting new technology never used before. 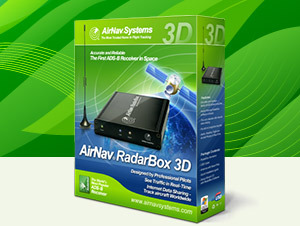 Start selling AirNav RadarBox on your site or shop today. You can find more videos at AirNav Systems Youtube page. Below you can find information on some of the most common AirNav RadarBox problems. Feel free to contact our support or this forum if you have any question. AirNav RadarBox forum is where users report problems, make suggestion and where our community changes ideas.It is the easiest way to find answers to your product questions. A list of all frequently asked questions are available online. RadarBox has a much better performance (range and number of messages increase) if an external antenna is used. AirNav Systems sells a ready-to-use antenna kit with all you need to deploy an external antenna. More details at RadarBox order page. There are other external antenna providers available. In this case we highly suggest DPD productions from California. Feel free to use our official AirNav RadarBox banner on your site. Tell your friends about it. All banners available here. RadarBox 3D banners available here. AirNav RadarBox hardware tracks flights up to a maximum 300 NM radius (500 Km) from your location. Using the network feature you can track flights worldwide. There is no limit for the total number of flights tracked.